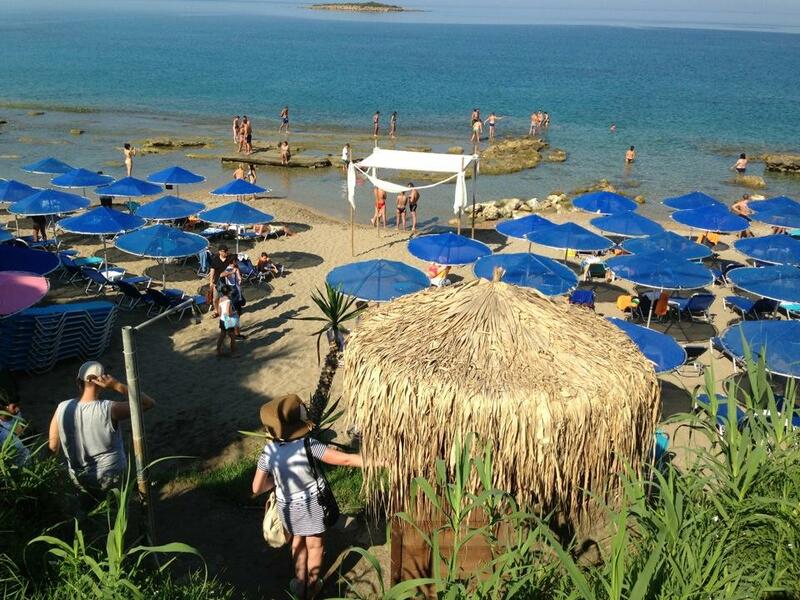 Behind the picturesque harbour of Katakolo, lies the beach of Agios Andreas. Its unique landscape is composed of small bays of wild rocks,clear blue sea water and pine trees that stretch out to the sea. Above the sea, overlooking the islet of Ichthis or Tiganonisi and Zakynthos, is Kastro. Agios Andreas is a nascent settlement that lies in the northwestern part of the Ichthis peninsula. It is situated in the pine cove of Ancient Pheia, which is described as possessing ’outstanding natural beauty ‘. It is located 13 kilometers northwest of Pyrgos, and just 2 km from the port of Katakolo. It owes its name to the icon and the ruins of the old church dedicated to Andrew the Apostle (who is said to have passed from the place on his apostolic course). The church was built on the ruins of an ancient temple, which was rebuilt in 1930. Where to eat and drink in Katakolon? Perhaps the question should be ‘where not?’ Greeks live to eat and drink. They dream about it and talk about it in bed when others are addressing other appetites. Wherever you go in Greece you might not find lodging, accurate clocks, punctual flights or a good cup of tea, but by Zeus you’ll find sustenance! Estiatorio is the Greek word for restaurant. It’s a recent innovation in the Greek culinary scene. How does it differ from the taverna? Sometimes it’s hard to say. The easiest way to tell the difference is by what’s covering the table. If it’s paper it’s a taverna, if it’s cloth it’s an estiatorio. 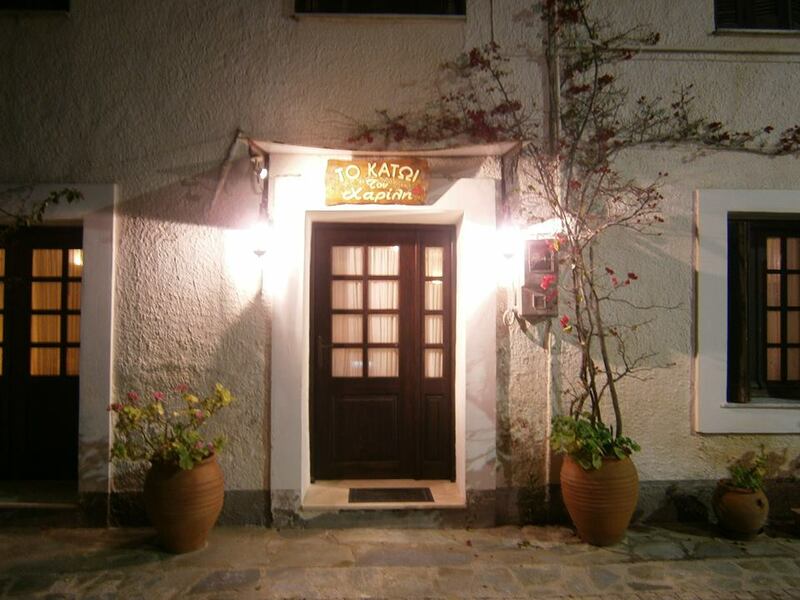 The traditional, quintessential public eating house of Greece is the taverna. This is Zorba the Greek, Henry Miller and Lawrence Durrell type dining. It is what amounts to an extension of the Greek home table, offered forth to the community. 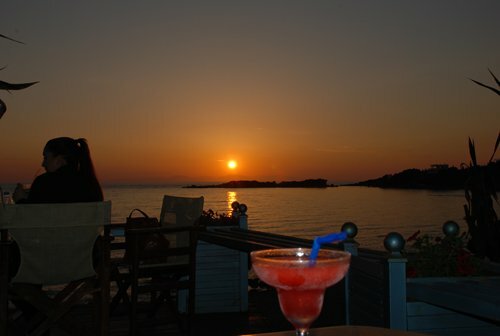 The place to enjoy the breathtaking sunset while sipping on a cocktail. A selection of meat, pasta and vegetarian dishes are served here; while the variety of seafood platter is “pentanostimo” (five times tasty)! Don’t forget to order the OUZO! Family run restaurant which serves fresh fish and other traditional Greek dishes. Just ask for the specialty of the day or let them surprise you. Either way, you will definitely not be disappointed. Quite popular among the local connoisseurs of Greek cuisine. Perfect choice if you are a pizza lover and have young children. After having enjoyed your dinner, enjoy your drinks at your table while the children play in the public playground right next to the restaurant. Family run restaurant specializing in sea food. This is literally your Greek mother’s kitchen since mom cooks up her traditional dishes daily. 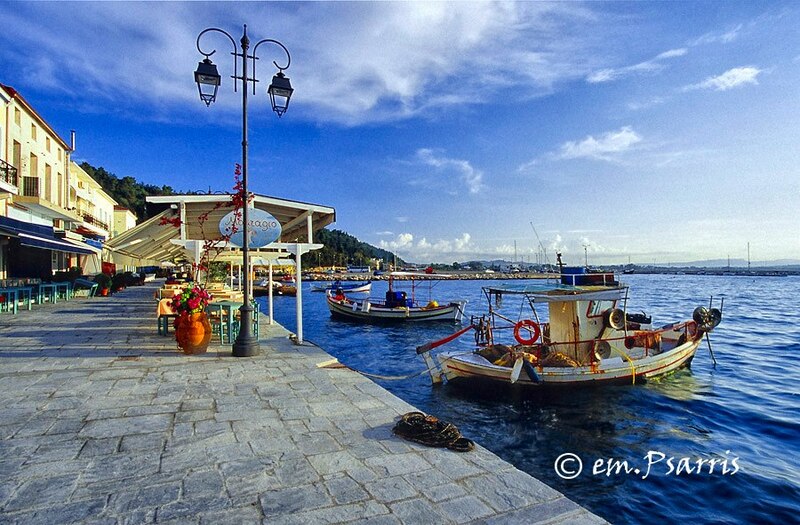 Enjoy the view of the fishing boats while eating your tzatziki and fried calamari. Don’t forget to try “chorta” wild greens with plenty of olive oil and lemon juice which make a great combination with fish. Traditonal greek dishes like moussaka and stuffed tomatoes (yemista). Try the grilled octopus on charcoal with Greek salad and a cold beer. A must for everybody who visits Greece. Delicious! The convenient choice for a night out since it is located in the nearby Korakochori village. Enjoy grilled meat, fresh salads, saganaki (fried cheese) and plenty of house-wine under the pergola of vines. For grilled meat lovers, Charilis is your guy. Steaks, chops, burgers and intestines… Yes, intestines (gardouba). Don’t be afraid, try them. I’ve eaten them and I’m still alive! Eat a lot, it’s a Greek thing! Stelios and his wife Niki prepare all kinds of delicacies. Chicken a la crème will tingle your taste buds. As a side dish, try the feta cheese in phyllo dough with sesame and honey, along with the rucola salad with flakes of parmesan and balsamic-vinegar dressing. Divine! Don’t let the name “Taleporia” (hardship) fool you. It just applies to the hardship the owner has had to go through so that he may serve you better. The dishes are quite limited; Greek salad, little fried fish, grilled octopus and the Greek “meze” (small bite of whatever) with your ouzo. Everything will taste amazing as you sink your feet into the warm sand since the tables are set literally on the beach. Apart from all the taverns and restaurants, you should try the Greek “take out” food as well. In the nearby villages ( Skourochori,Agios Ioannis, Pyrgos) there are plenty of so called “souvlatzidika” where you can buy gyros and souvlaki (pork or chicken on a little wooden skewer) wrapped in a pita together with tzatziki, fries and tomatoes). A few of my favourites are the one in Pyrgos opposite the marketplace named “Ladokolla” and the one in the village of Agios Ioannis right at the crossroads, named “Stavrodromi”. The latter is very popular among the locals as well. Eating souvlaki at a souvlatzidiko is really inexpensive since the price per pita with souvlaki is approximately 1.80 euros. Souvlaki is traditionally eaten standing, or walking, or at any rate outdoors. Another local specialty you should really try is roasted suckling pig (gouronopoula). During the years of the Ottoman yoke, local authorities would often steal foodstuff from the Greek population. To prevent this, the people here, who used to spit roast lambs in the countryside during festivities, would place spits with suckling pigs in front of the lambs to mislead the Muslims who would not eat pork. Usually available (by the kilo) at weekends in the souvlatzidiko Stavrodromi. Behind the picturesque harbor of Katakolo is the beach of Agios Andreas, with its small coves, sharp rocks, blue green waters and pine trees that come right down to the sea making it a unique landscape. 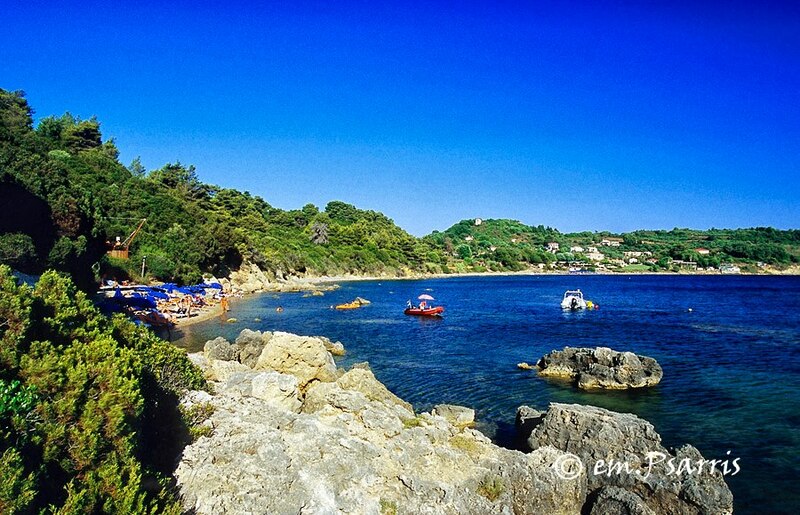 The beach of Agios Andreas charms the visitor and especially divers, since its sea-floor has been described as magical. Watch the locals to see how and where they get into the sea in order to avoid the stones. This beach is nice for families with young children too as the rocks in front of the beach form the boundaries of a natural swimming pool. This was the location of ancient Pheia, the harbor of ancient Olympia. 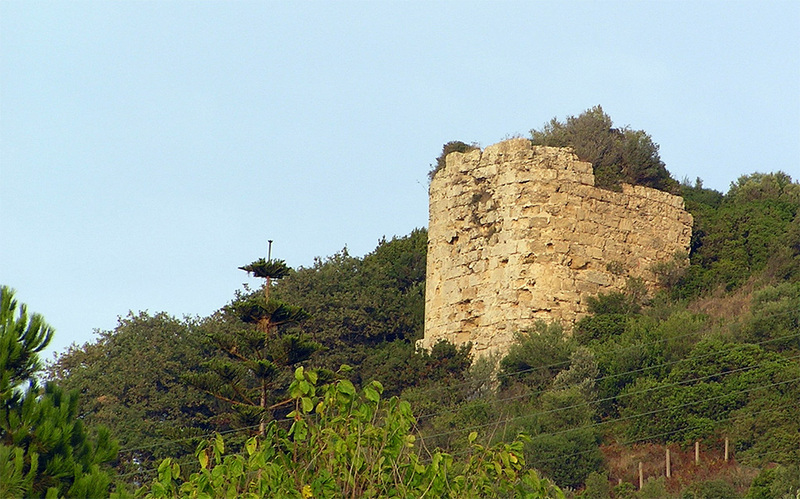 In the past many locals found ancient coins and remains of amphorae attached to the rocks. 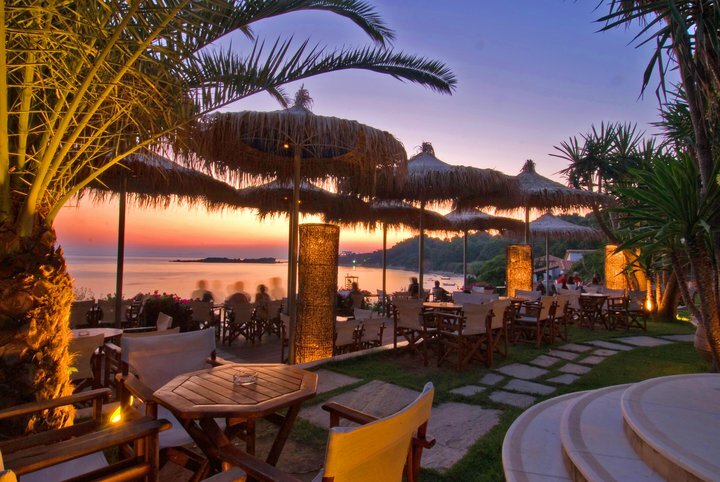 At the Kastro beach seafront bar, a sea breeze will accompany you as you enjoy delicious snacks. 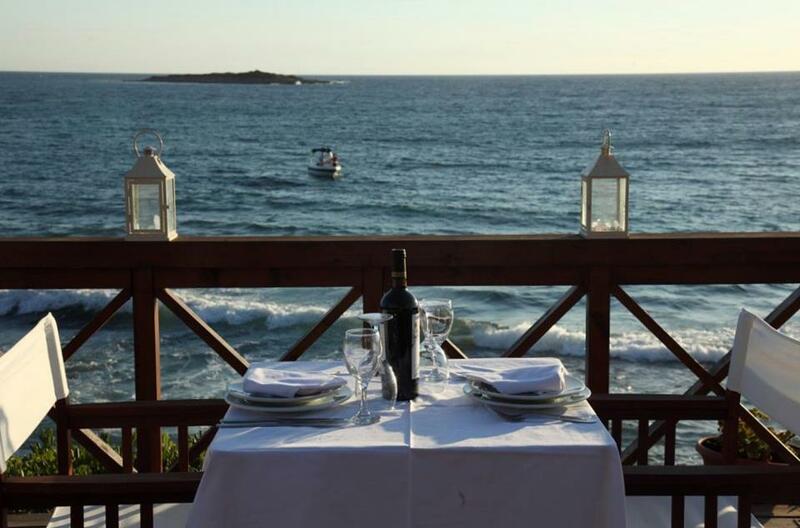 At Kastro restaurant you can enjoy Mediterranean cuisine, both traditional and non. Behind the picturesque harbour of Katakolon, is the beach of Agios Andreas with its small coves, sharp rocks, deep turquoise waters and pine trees that come right down to the sea making up its unique landscape. The beach of Agios Andreas charms the visitor and especially divers, since its sea-floor has been described as magical. This beach is especially suitable for families with young children as the rocks surrounding the beach form the boundaries of a natural swimming pool. Sunbeds and umbrellas are available free of charge for customers.